Not so sure I would fly with her though, something is bound to go wrong. Why double? 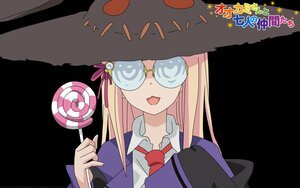 Because instead of posting about Majo-chan yesterday I can post today and post two! I said I would get you some Ookami-san ep2, and here we are. Since there is plenty of Ryouko, this time I did one of the other characters. 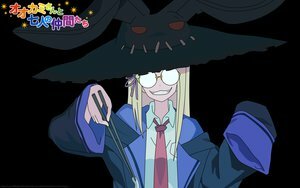 Say Ohayou/konnichiwa/konbanwa to Majo-san, Otogi Bank’s mad scientist and parody of Morgan le Fay.